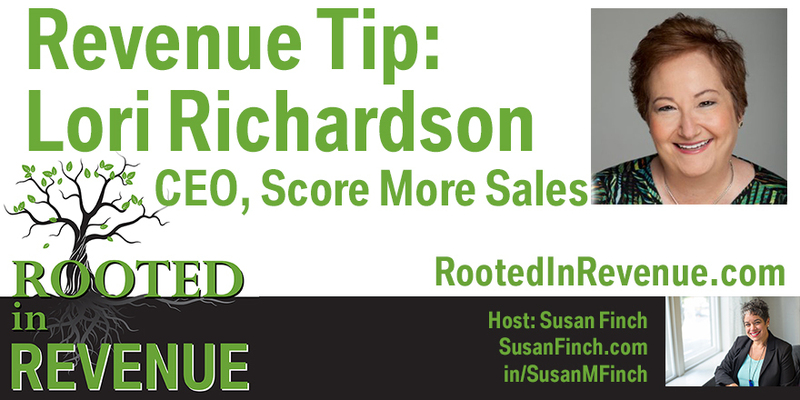 Revenue Tip from Lori Richardson - You are sitting on gold. How does generating revenue look for your business? What are the key services/products you offer that generate the most revenue? What is a tip you'd like to share to generate revenue? Listen to this short episode with a HUGE aha moment in it. Lori founded Score More Sales in 2002 to help companies grow revenues through strategic sales efforts, using lessons learned from 20 years in B2B sales and leadership roles.